Very often audiophiles find themselves having to sell a component to finance an upgrade. They will soon discover that selling a component can be quite a hassle and could take some time. The better and more convenient way is to trade-in, but not all dealers accept trade-ins. There’s good news for those who want to trade-in to upgrade. Owner of Style Laser Audio Alfred Lee assures that all his products are not parallel imports and are sourced from authorised Malaysian distributors of well-known brands. “The warranty is from the authorised Malaysian distributor. Our customers are guaranteed that the components they buy from us will enjoy all the benefits of the warranty. We don’t sell parallel imported products,” he said. 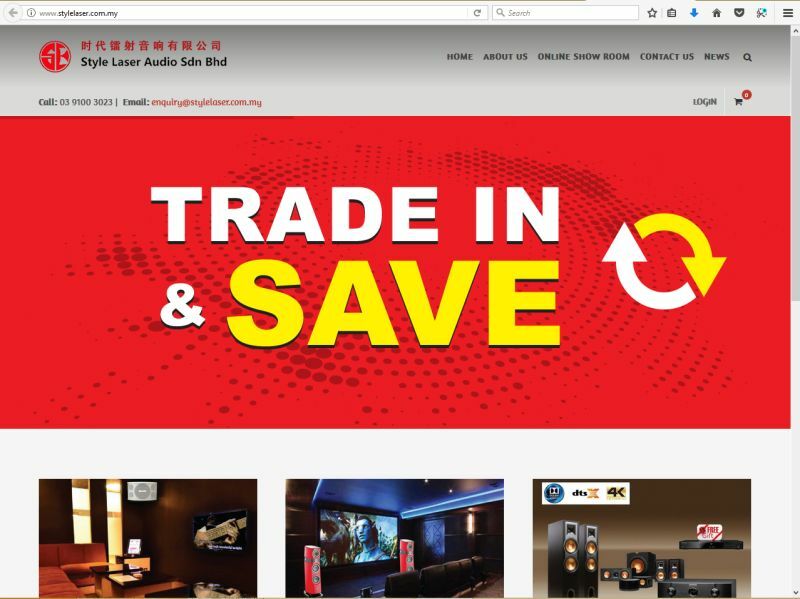 Alfred Lee said he wants his company’s website to act like a one-stop e-commerce site for all hi-fi and AV components. 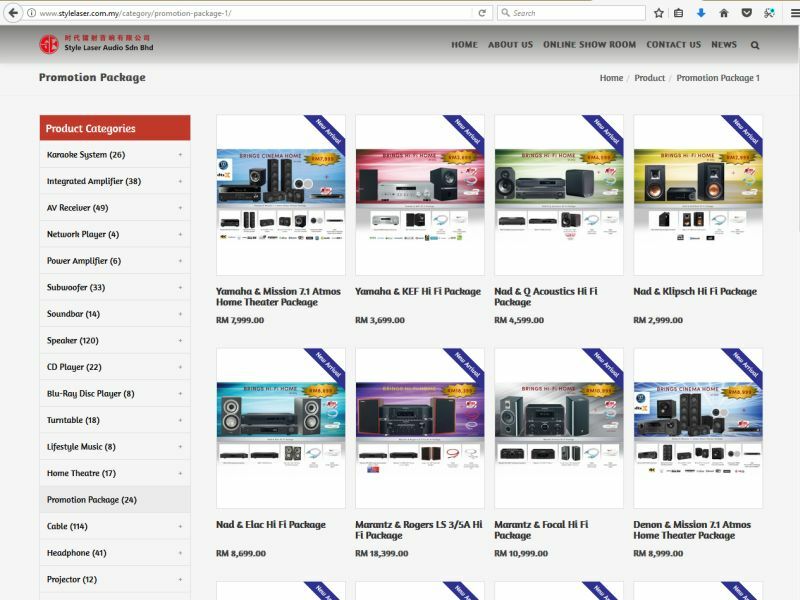 To make it even more convenient for audiophiles to buy from his online store, he offers free shipping to buyers from Peninsular Malaysia. Style Laser’s online store offers numerous products from well-known brands. Promotion packages are also featured in Style Laser’s online store. 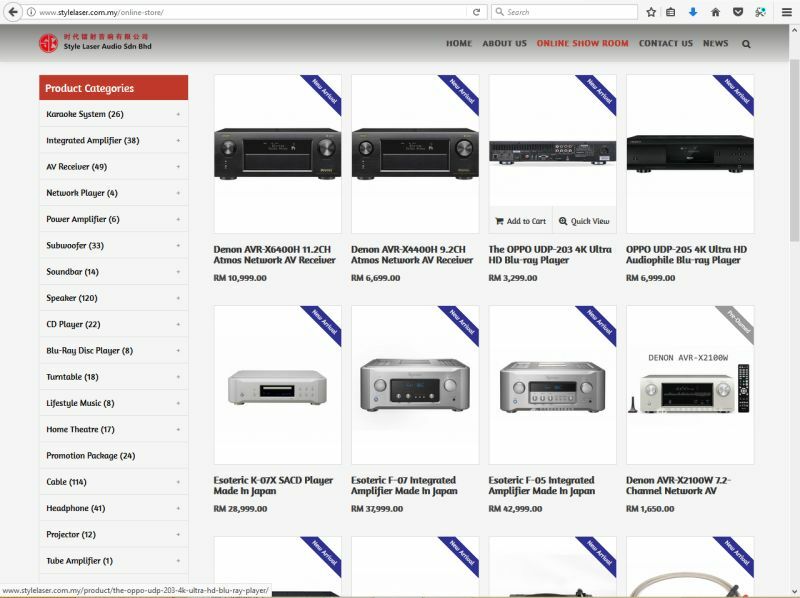 Style Laser’s online store has segments for Karaoke, AV and Hi-Fi, Head-Fi and Cables. Product Categories include Karaoke System, Integrated Amplifier, AV Receiver, Network Player, Power Amplifier, Subwoofer, Soundbar, Speaker, CD Player, Blu-Ray Disc Player, Turntable, Lifestyle Music, Home Theatre, Promotion Package, Cable, Headphone, Projector, Tube Amplifier, Cartridge, Converter, Phono Stage, Pre-Owned, Speaker Stand and Accessories. Brands include Anthony Gallo, Denon, Jamo, JBL, KEF, Klipsch, Focal, Harman Kardon, Pioneer, Onkyo, Q Acoustics, Yamaha, Marantz, Rega, Esoteric, Roksan, TEAC, NAD, Pro AV, Sony, Samsung, Oppo, Polk Audio, Elac, Paradigm, Thorens, Pro-Ject, Velodyne, Mordaunt-Short and others. New items and promotional packages are added to the list regularly.